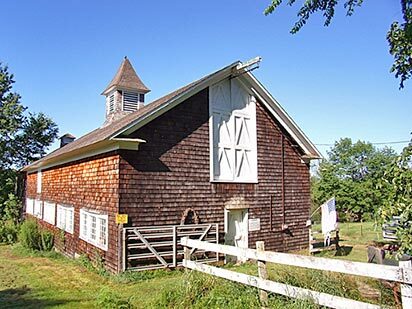 A classic embankment shingle-style barn with old timbered post and beam elements has many possible uses. This is a 110 ft., 2½-story horse and cattle barn on 24 acres with open pasture, year-round brook and wood lot. In 2009, a new well, farm watering system and new fencing were installed. 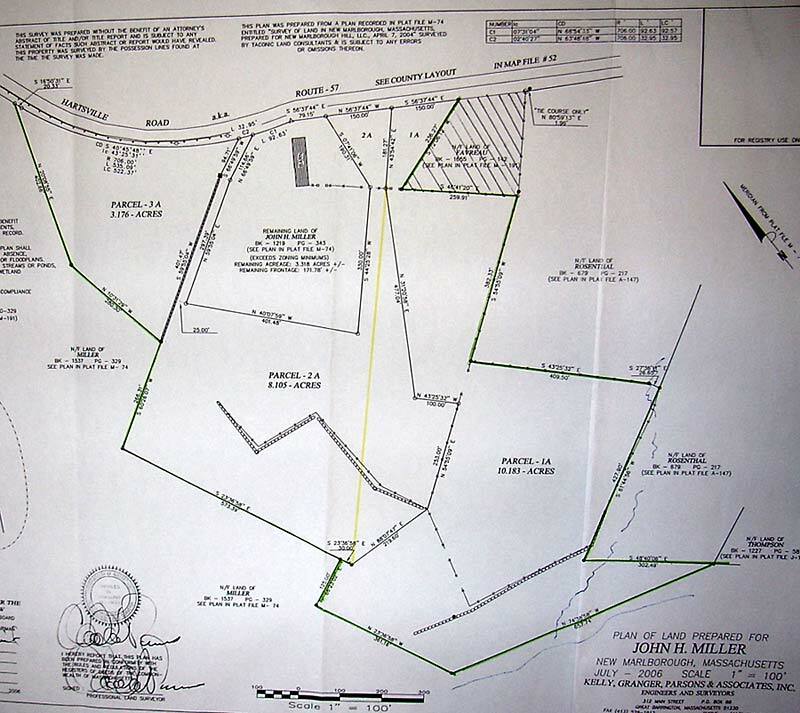 Commercial agriculture use is a property right by town law under Massachusetts Right-to-Farm Bylaws. We currently raise goats, pigs, and chickens. There are several approved home sites with perc tests.